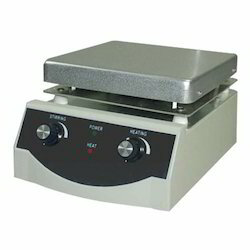 We are a leading Manufacturer of magnetic stirrer, anode cathode basket, centrifugal hot air dryer, dye gold plating electro phoretic coating, electro plating air blower and pp tank from Mumbai, India. 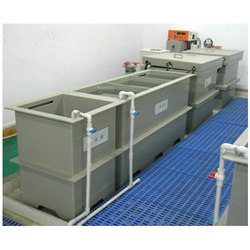 Anode Cathode Basket is the most suitable types of material for various types of aqueous electrolytic process. 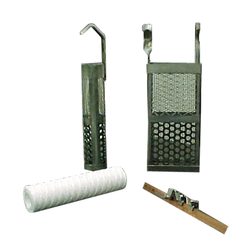 Anode Cathode Basket is used in the fabrication of all types of products. 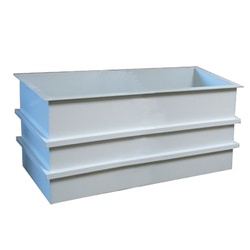 We also solicit custom built anodes, jigs, baskets and fixtures order. It is very important to dry up the Centrifugal Hot Air Dryer, so as to get the actual result. It is old and costumed way of drying anything with heating. Our dryer is rotated with the centrifugal force so as to wipe off water drops. And heating helps to increase this speed. 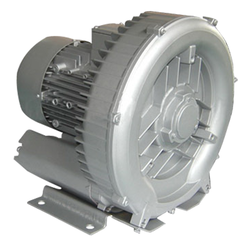 Cast iron body is used to rotate the whole drum filled with plated article. This type of dryer is not only used in plating but also in itching as well as hardware manufacturing etc. Electro Phoretic is a process by which thin coating of material is applied to any electrical article. Excellent perspiration and abrasion resistance. Very good scratch and corrosion resistance. So most suitable for jewelry and hardware items. A wide range of film thickness 5-20 micron. Air Blower is a very important unit in the plating process. It gives air agitation to electrolytic bath. By agitation, it waves the whole bath and by that chemical is thoroughly kept diluted. The temperature of a bath is also same throughout. Again any gaseous layer on the article to be plated is removed by agitation. 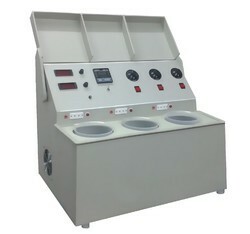 table top plating machine of 3 beakers of 2 ltrs each with separate heating & temp. controller. Full Plastic body, digital display for volt, amps, auto timer cutoff.